The global integration platform as a service (iPaaS) market is predicted to grow at 42.1% CAGR during the forecast period with the market size reaching USD 8.6 billion by 2024. Different types of services including application integration, data transformation, real-time monitoring and integration, and cloud service orchestration are majorly contributing to the iPaaS market size. The market is anticipated to witness significant demand for these services in the coming years due to the increasing awareness among different enterprises and increasing demand for faster deployment and scalability. On the basis of deployment type, the iPaaS market is segmented into the private cloud, hybrid cloud, and public cloud. Of all, the hybrid cloud holds the largest share in the market and private cloud is anticipated to grow at the fastest CAGR of 44.1% during the forecast period. Based on organization size, the market is segmented into small and medium enterprises, and large enterprises. 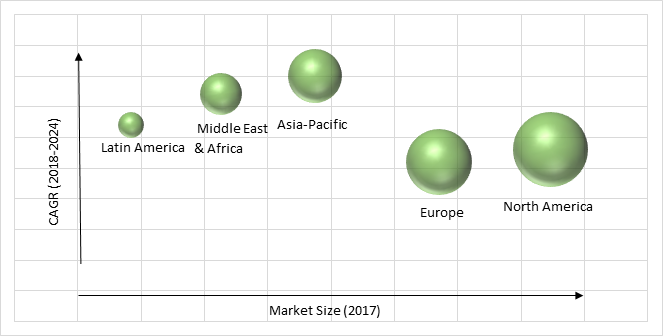 The iPaaS market size is larger for large enterprises; however, its growth rate is higher for small and medium enterprises due to the increasing awareness and increasing complexities of integrating the application in on-premise and cloud. Based on the service type, the iPaaS market is categorized into application integration, data transformation, real-time monitoring and integration, training and consulting, support & maintenance, and cloud service orchestration. Cloud service orchestration which is also further segmented into reporting and analytics, training consulting and integration, and cloud service automation, hold the largest share in the global market. The service is the most used by enterprises due to the increasing complexities in workflow, need for composing architecture, tools and processes, integration of hardware and software components. Among different verticals including telecommunications, government and public sector, media and entertainment, consumer goods and retail, education, manufacturing, BFSI, healthcare and life sciences, and others, the iPaaS market size for BFSI is predicted to grow at the fastest CAGR during the forecast period. BFSI sector is moving towards the digitalization of its most of the services and the banking is shifting from on-premise to cloud platform. Although different banking IT professionals are still evaluating the advantages of private cloud, public cloud and hybrid cloud, iPaaS offers them a new cloud-based approach with several benefits. The increasing adoption of digital solutions by most industries, technological advancements and increasing inclination towards cloud-based solutions by banking sector are the key factors leading to the growth in the iPaaS market, globally. Increasing need to streamline BFSI activities creates the demand for cloud-based solutions including hybrid cloud, private cloud and public cloud which fuels the growth of the iPaaS market. Some other factors driving the growth of the iPaaS industry are increasing demand for faster deployment and scalability and business agility and digitalization of workflow in different industry verticals. Key factors hindering the growth of the iPaaS market are issues related to interoperability within enterprises and high initial setup cost. In addition, the dearth of skilled professionals and competition from alternative technology such as enterprise service bus is also having a negative impact on the growth of the market. Geographically, North America is the largest iPaaS market due to the presence of a large number of industry players, and rapid adoption of cloud-based services among enterprises in the region. Asia-Pacific is observed to witness the fastest growth in the market during the forecast period. The increasing demand for advanced integration solutions in the region and increasing inclination toward cloud for business activities and operations fuels the growth of the market in the region. The key players operating in the iPaaS industry include SnapLogic, Inc., Scribe Software Corporation Celigo, Inc., Dell Boomi Inc., IBM Corporation, MuleSoft, Inc., Informatica Corporation, DBSync Ltd Jitterbit, Inc., and Oracle Corporation. Industry players are leveraging the market growth with forming strategies for collaboration, partnership, and technological advancements. 11.2. Scribe Software Corporation Celigo, Inc.
Table 228 Snapshot – SnapLogic, Inc.
Table 229 Snapshot – Scribe Software Corporation Celigo, Inc.
Table 230 Snapshot – Dell Boomi Inc.
Table 232 Snapshot – MuleSoft, Inc.
Table 235 Snapshot – Jitterbit, Inc.
Scribe Software Corporation Celigo, Inc.